In 1961, Bob Johnson, his wife Lois, and their three children, moved to the Orange County city of Tustin. In 1966 he began almost three decades of work to eliminate segregation of blacks in the county through the Orange County Fair Housing Council. In 1969, he was elected chair of its board of directors. He served as an officer through 1995 and in 2009 returned to the board. In 1981 he received the “Fair Housing Volunteer of the Year” award from the Community Relations Conference of Southern California. Bob is a board member of the Orange County Community Housing Corporation, which he co-founded in 1978 to provide housing for extremely low-income people, and is on the board of the Santa Ana Black Historical Society. He has B.S. and M.S. degrees in engineering from UCLA, and is a Fellow of the Institute of Electrical and Electronics Engineers. In 2009 his book A Different Shade of Orange, Voices of Orange County, California, Black Pioneers was published by California State University, Fullerton. It is now in its second printing. Michael P. Simondi is a lawyer practicing in Newport Beach, California. Prior to starting his own firm he was a partner in the Los Angeles office of Morgan, Lewis & Bockius. His private focuses on representing residential and commercial developers in acquiring and developing real estate. Mr. Simondi has been involved in all facets of real estate practice, including representing lenders, developers, lessors and lessees. He has represented lenders in making loans secured by real estate on all types of commercial, industrial and residential properties. He has been a lecturer for the California Continuing Education of the Bar on financing real property transactions. He was also a speaking member of the faculty for the International Council of Shopping Centers on leases. He published an article on the securitization of real estate loans in the fall 1994 edition of Real Estate Review. Mr. Simondi is a member of the Real Property Law Section of the California Bar Association and is a member of the American and Orange County Bar Associations. He also served as a member of the Orange County Transportation Authority, Citizens Rail Committee. He received his B.S. in Accounting from the University of California at Berkeley in 1966, and received his M.B.A. with an emphasis in Accounting at Berkeley in 1969. 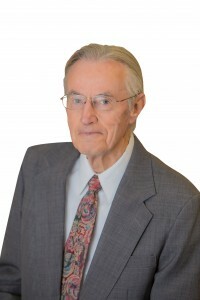 Mr. Simondi practiced accounting with Price Waterhouse & Company in its tax department and became a CPA prior to entering University of California Hastings College of Law, where he received his law degree in 1976. Realtor, First Team Real Estate As a resident of Orange County for 26 years, Karen can be best identified as a dedicated community service activist. 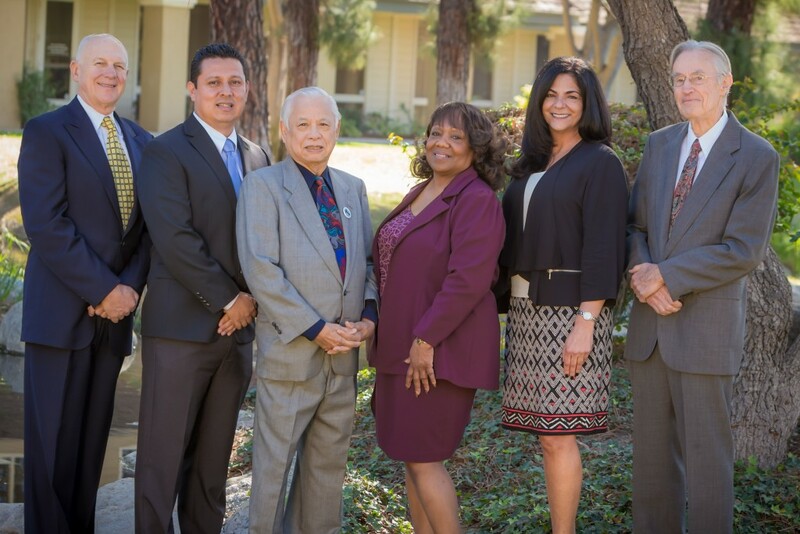 As a Board Member of the Fair Housing Council of Orange County and as a Realtor, her role provides a very meaningful personal and professional reward: helping people from diverse backgrounds achieve their real estate goals in a fair and non-discriminatory manner. 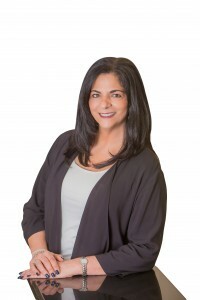 She takes an active role in her professional career as a member of the National Association of Realtors, and the California and Orange County Association of Realtors. In addition, her community work includes serving as Inspector of Elections for all state and federal elections held in her voting precinct for the past 13 years as well as serving for 14 years as a member of the Board of Directors of her community association in Tustin. Oscar Rodriguez Aguila migrated to U.S. in 1989 seeking an opportunity for the American dream. Raised by his Mother and Grandmother, he faced the typical struggles that an immigrant faces while attempting to assimilate to a new society. His family faced many challenges including injustices & discrimination while attempting to improve their quality of life. He grew up in Orange California, attended the local school district and community college. Oscar graduated from California State University Fullerton in 2004 with a Bachelor’s Degree and currently holds the following Real Estate designations CPM®, GRI®, SFR®, CHS®, BPOR®, CMI®, CMRC® and InterNACHI®. 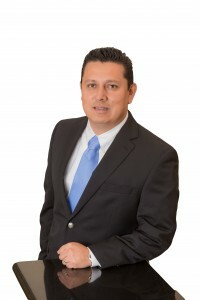 Mr. Aguila is a Certified Property Manager with more than 16 years of Property Management & Real Estate Experience. He began his career in Property Management as a Maintenance Technician, moving up the ladder in the industry to eventually becoming a CPM®. Mr. Aguila specializes in Single-Family, Multi- Family, Apartments, Home Owners Associations, Cooperatives, Non-Profits, Community Housing Development Projects, Historic Buildings, Mentally Disabled Housing Projects, Shelter-Plus Programs, Section 8/202/211/236, HOME Programs, Senior Housing, Low Income Housing, Commercial Buildings, Medical Facilities, & Mobile Home Parks. Mr. Aguila is an Educational Seminar Instructor on diverse topics related to Real Estate Management for the Institute of Real Estate Management. He is also is a columnist for local newspapers including the Orange County Register’s Excelsior in the field of Real Estate and provides educational information in Real Estate for the Latino Spanish- speaking community. Oscar is an advocate against inequality, domestic violence and other social issues that dehumanizes a person’s integrity. He is committed in making a difference in people’s life by collaborating with local agencies whose mission are affordable housing, higher education and fair housing. Pham Ngoc Khoi, was born in Hanoi, North Viet Nam, fled to the South in 1954 after Viet Nam was segregated into two parts by the Geneva Agreement. Prior to 1975: Pham was one among five of the first Vietnamese Air Traffic Control (ATC) Experts/Instructors who taught/trained New Air Traffic Controllers in VN graduating from the Air Traffic Control Training Center (CAAG) in Taipei and Federation Aviation Administration Academy (FAA) in Oklahoma, USA. Additionally, he graduated with a Law degree from Saigon University Law School. In 1975, when the Saigon Government collapsed, he escaped from the Communist for the 2nd time as a political refugee in the USA. Pham also helped 360 fellow residents to evacuate from Tân Sơn Nhất International Airport to Guam by 5 Hercules C130. During this time he was assigned as an Assistant Camp Commander in coordinating and planning activities for the camp which consisted of over 10,000 people until he left Guam to Camp Pendleton in California. In the United States: Presently, he serves as a Vice-Chairman of the King Hung Oversea Foundation to preserve Vietnamese culture. Mr. Khoi Pham participates in many Medical/Health-care Clubs/Groups to help patients at no cost. 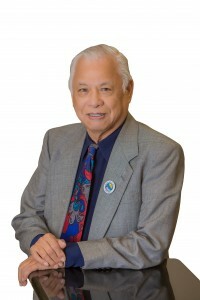 He was elected by people in Southern California (6 Counties) including Los Angeles, Orange, San Bernardino, Pomona, Riverside, San Diego and served the people for 2 terms as a member of the Vietnamese American Federation of Southern California – VAFSC as Treasurer and Vice-President of the Board, respectively. In fact, for almost 20 years, he served the Vietnamese people and all citizens in the community as a Director of Fair Housing Council of Orange County (FHCOC) in different service areas including landlord and tenant counseling, housing counseling, and court mediation. He also helped with community outreach and education requested by schools, churches, pagoda throughout Orange County. 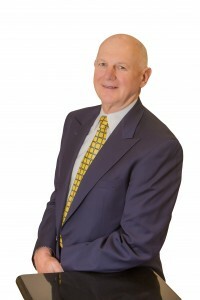 Presently he is a member of the FHCOC Board of Directors. Denise Y. Cato, President & CEO After more than 25 years of volunteering, working, advising and consulting for various fair housing agencies, civil rights organizations, apartment associations, and other public and private housing related entities, Denise Cato’s passion and commitment to eliminating differential treatment and discriminatory housing practices is just as evident today, as was when she began her career as a Fair Housing Coordinator for Westside Fair Housing Council back in 1990. Today, Denise Cato, as President and CEO of Fair Housing Council of Orange County (FHCOC), still speaks to, leads, and trains hundreds of housing industry professionals regarding both state and federal fair housing laws. Additionally, Ms. Cato currently serves as a member of the Board of Directors for the National Fair Housing Alliance, a national organization that supports the efforts, marketing, and legislative needs and agenda of all fair housing organizations nation-wide. Cato attended California State University of Los Angeles and graduated from Watterson College as a paralegal, trained with the John Marshall Law School, The National Fair Housing Congress, The U.S. Department of Housing and Urban Development, and the Department of Fair Employment and Housing. She was certified by the California Department of Real Estate in 1997 as a trainer in fair housing laws for realtors (as part of their mandatory continuing education requirement). She is well known in the legal community for her professional fair housing training courses taught to private attorneys, property managers and owners, real estate agents and brokers, lenders, and property appraisers. She has taught fair housing classes for the Apartment Association of Greater Los Angeles for 25 years, Southern Cities Apartment Association for 23 years, and Orange County Apartment Association for at least 13 years. FHCOC has devoted 50 years of housing focused service to the region—enriching and improving the lives of thousands of individuals and families. 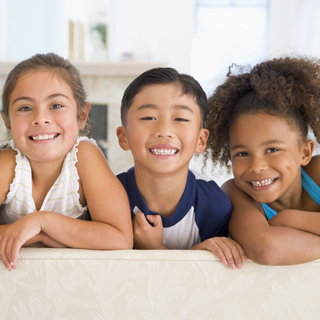 Under the direction of President Cato, the Fair Housing Council of OC continues its heritage, helping hand, and message of hope to those most often marginalized in our neighborhoods and communities at large.